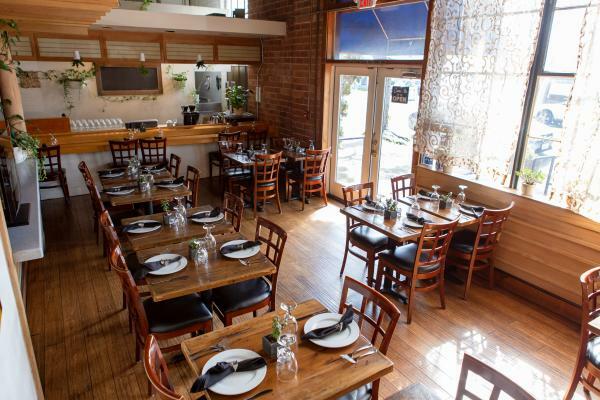 This is a stunningly beautiful Bistro located in the Gilman District of Berkeley. It has high ceilings and large picture windows, a bar area, and full kitchen serving beer and wine. It is currently operating as a successful Bistro and can be converted to any concept. The owners are relocating out of state and will be taking their name and recipes. The restaurant enjoys high sales of almost $700,000 in approximately 1,500 SF. The Bistro is open for lunch and dinner and brunch on the weekends. Lease: Term: five years + (1) five year option Rent: $3,378 monthly + $233.76 monthly for Taxes and water.